Sorry by advance for bad English, I’m French and I have still some gap in this language. I come from 3D imagery, mostly on historic building representation. There are less than one year I have discovered the possibilities of 3D printing. I knew it for a long time but I considered previously as inaccessible outside factory. With the first tests I realized that traditional masonry elements came out particularly well. While remaining within acceptable prices for N scale (HO it starts to get expensive - the price is proportional to volume). It took me several months to test all possibilities of 3D printing (I go through Shapeways). …to reality. A piece impossible to make with other technics. I made a mini demonstration scenery, "la gare du Mazet" made entirely in 3D printing (except the characters and rails). It is Nm gauge. I can now present the result of this work. I have already created more than 130 references: bridges, castles and of course train stations. Many are unpublished and impossible to make with other techniques. Most of these models are of French inspiration. But some like bridges or tunnels are more universal. I model very quickly and many new items are planned. Besides, I also seeking your advice to guide my production in the directions you want. Your NF50 design reminds me of a scene from the Highlander movies... Very nice. "No matter where you go, there you are!" You make some nice models! Unfortunately your links to Shapeways do not work. You link to the upload page, not the shop page. We can not see your upload page. Really good work. I like the fence options. Very well done. WAAAAGH!! Wait, wrong hobby. TRAAAAAAIIIINNN!! Very nice work. You should be able to search Shapeways by his name. Here's a link to the Shapeways page. I find the Shapeways search system very inconvenient. Don't forget to add a direct link to your Shapways store to our Links Directory. They look really good , I would certainly have a better look if I had a European layout, maybe some American themed designs would be something to consider. The Shapeways search engine is indeed very poor. On your site you have links to the Shapeways shop, but these links do not work. You can open the first link, but nobody else can. Everybody can open the second link. Try logging out of Shapeways and looking at the links. While "American" or even some "International/Modern" structures would be nice, a different flavor of European architecture is great. North America has had various European influences for not quite a thousand years now! Even if you limit the influences to more modern times, you can find many neighborhoods or even a few towns that resemble the original places that the immigrants came from. The churches are often a dead giveaway. You can find lots of Old World architecture in the French cities of Montreal and New Orleans. It took a long time to develop a truly American style of architecture. Until then most structures were imitations or derivatives of older styles. Even the more modern styles, like Art Deco and Bauhaus originated in Europe. Thanks to you RichesHeures! For making something different! You have a large collection of 3D printed objects! Thanks. 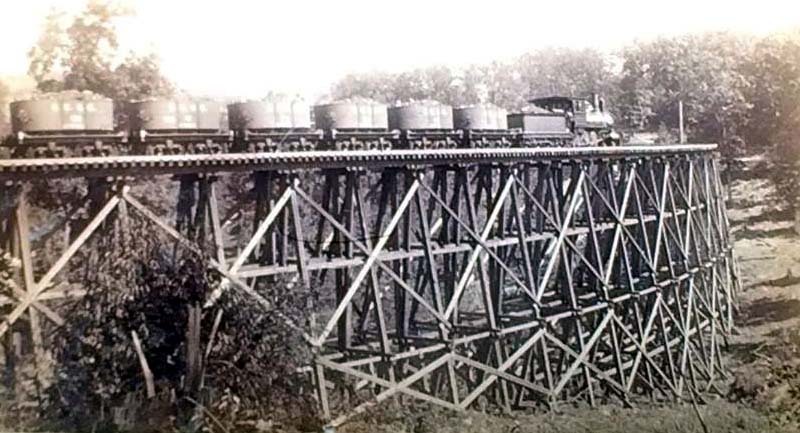 What about 1900's small city US building or wooden bridges for exemple ? I'm better on old stuff. I think everyone doing American themed layout has a few DPM kits on the layout , it would be nice to have more different store fronts like in the 3rd photo. And I was in no means suggesting you not do the European structures, just saying it is not for me. And I too are glad someone is making something different. I've seen so many German layouts and they all have the Faller , Kibri , Noch and Vollmer structures , they could use different too. It is a modular system that allows you to compose an infinite combination of bridges. I have made a very light structure. I take a look to your website, a big project! I also found that there are already a lot of offers in US buildings. May be it is not necessary to add additional products. with a few NF1 - NF10 you could build Carcassonne!! Excellent work! The iron truss bridge looks spectacular. That bridge looks awesome Cyrille! It is close to the last one – I work by series. It is also in continuation of a former Arnold bridge. May be I’m a maniac of bridges. The bridge is compatible with the stone viaduct. Its height is enough to pass a catenary wire. Its shape is more compatible with US layout. I know in US stone viaduct are rare by comparison with iron ones. It structure is lightened to stay at a reasonable price. 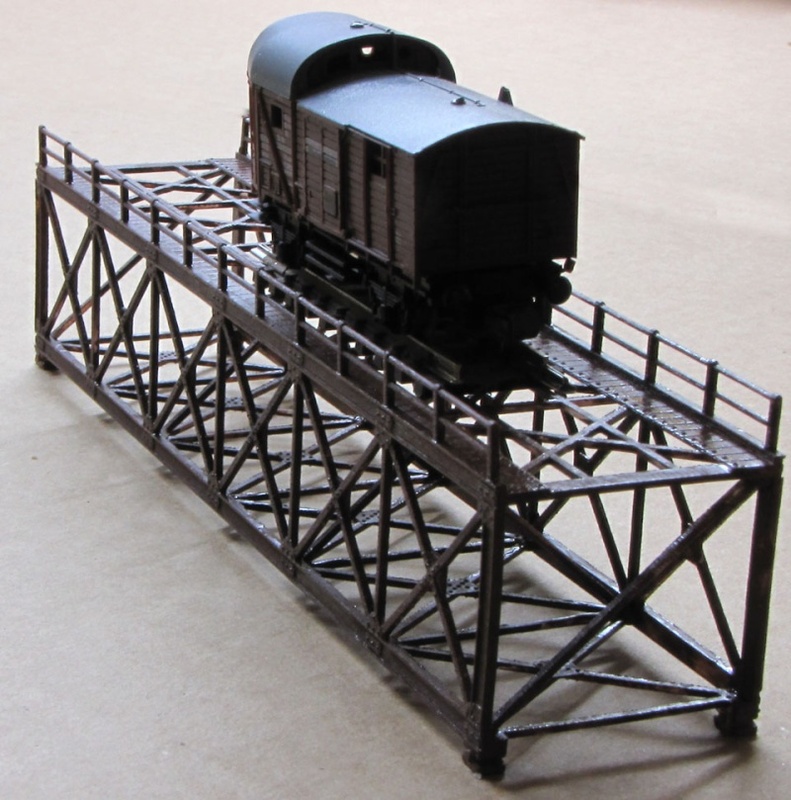 You can use a plasticard to transform this train bridges into road bridges. Stay tuned, other things will arrive. This first layer is made with Emamel Humbrol paint, the acrylic painting far more convenient (short drying time, water-dilutable) do not adhered to this kind of material (Acrylic polymer on my site, Frosted Ultra Detail on Shapeways). You can now combine shipments to save money. If you have an order that as not shipped, you'll have the option to add a new order into that shipment at no extra charge. Just select Ship with previous order when checking and your orders will be shipped together. With Shapeways, I always prime with enamel then you can put acrylics on top of that. Only thing I have ever had an issue with is the very porous large surfaces. Not that the paint doesn't adhere, but it soaks it up like a sponge. Always keep in mind that you can put acrylics on top of enamel but cannot put enamel on top of acrylics without a protective layer between them. You do very nice work. I wonder if it is not possible to use spray paint? A primer for car for example. It would be more convenient for complex structures like the bridge. Planning new layout good news bad news. By Sean Barry in forum Layouts, Design, & Planning.